EURUSD is under pressure due to USD empowerment. The US is publishing PPI and unemployment claims data and Yellen continues to testify today as well. 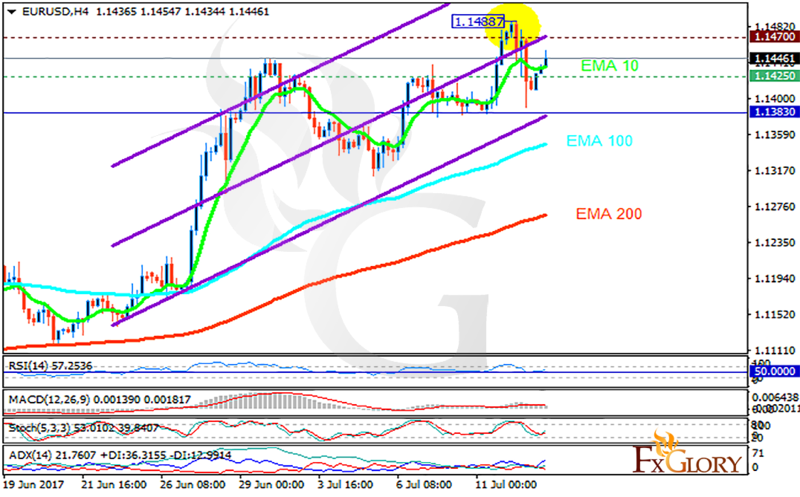 The support rests at 1.14250 with resistance at 1.14700 which both lines are above the weekly pivot point at 1.13830. The EMA of 10 is moving with bullish bias along the ascendant channel and it is above the EMA of 100 and the EMA of 200. The RSI is rising towards the overbought area, the Stochastic is showing upward momentum and the MACD indicator is in positive territory. The ADX is showing buy signals. Bulls are in control of the chart pushing the pair towards 115 area.